Hollywood needs to make more science and technology movies like The Martian. Photo courtesy 20th-Century Fox. I agree. In fact, most hard science fiction movies don’t get a sequel. No science-driven stranded-in-space stories I can think of—Marooned, Apollo 13, Gravity, Interstellar—got a sequel. The only hard sci-fi film that did was, ironically, the granddaddy of them all, 2001: A Space Odyssey. Does anyone remember 2010: The Year We Make Contact? In a narrative sense, The Martian is a mashup of Castaway and Apollo 13, and it doesn’t leave much room for extending the story; Mark Watney, the Robinson Crusoe-like protagonist, (spoiler ahead) comes home to Earth, and it would be pretty silly if he got stranded again on Mars, a terrestrial island, or some other celestial body. He’d be labeled a Jonah, that is, a magnet for bad luck. The character could come back to connect The Martian with another story, such as Zephram Cochrane‘s appearance in the most recent Star Trek series, Enterprise, but another lost-astronaut story would risk a devolution into the stereotypes that Hollywood relies on when it can’t come up with a good story; aliens, a love interest, or, god forbid, a juvenile character a la Wesley Crusher. I kept expecting faux-problems for The Martian’s characters to solve, especially toward the climax, but they didn’t appear, to director Ridley Scott’s credit. In fact, he actively resists the standard Hollywood fall-backs. The cliché I missed the most (thankfully) was a “rah-rah for America” tone. U.S. flags are present, but subdued and appropriate. America leads, but it has important partners: One of the astronauts is German, and China plays a significant role in the rescue. In the new multipolar world right-wingers abhor, Scott shows that we are in everything together from now on. A better follow-on to The Martian would be another blockbuster that shows science, technology and human intelligence in an optimistic, can-do light. Much had been made of science fiction and fantasy’s current obsession with dystopias and other downer human environments (I use these settings myself), and several authors have called for a return of more positive storytelling. The Martian’s success should encourage movie-makers to pursue similar narratives in which everyone works together and (spoiler ahead) no one dies to make a point. There’s often a sense in the world that the problems humanity faces, such as climate change, are too big to solve. As The Martian makes clear, no problem is insuperable if you apply the will to succeed, work as a team, use the right tools, and enjoy a bit of luck. (A lot of luck, actually.) Audiences have embraced The Martian for many reasons, and its optimism is one of them. A few more stories like it and people might feel that we’re not doomed as a species after all. 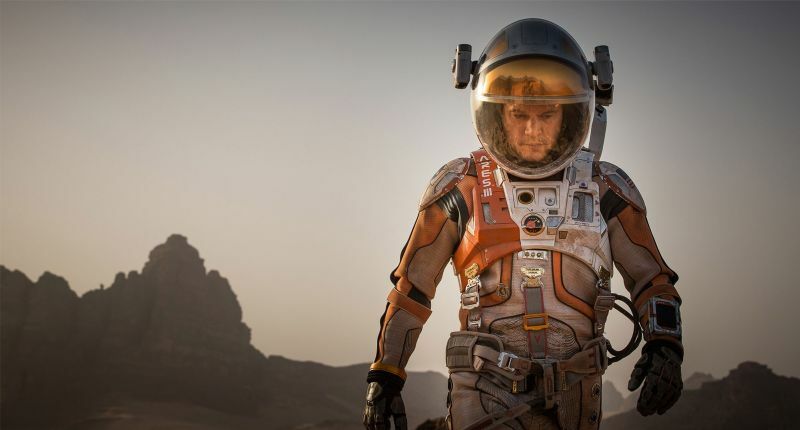 Would you like to see a sequel to The Martian?